At noon that day, my client and petitioner Li Xiaozhen received a notice from the Hualin Street Police Station of the Liwan Branch of the Guangzhou Municipal Public Security Bureau. 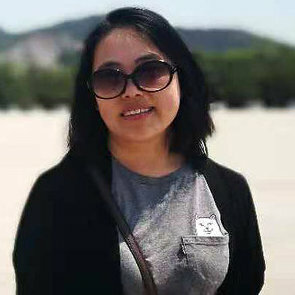 In the notice, the police agreed that Li should go to the Police Station with a defence lawyer to discuss the bail of her husband Zhou Jianbin with the police officer responsible for the case. Li and her husband are residents of Liwan District of Guangzhou City. They have been petitioning for many years on the issue of compensation for demolition and relocation. They have received prison sentences and been subjected to administrative detention numerous times. The couple was recently criminally detained for disturbing the work of the state organs during the Summit of the Forum on China-Africa Cooperation, when the couple went to Beijing and were subsequently detained and repatriated by the Beijing police. In this instance, Li was released on bail because of her young child. Although the couple went to Beijing, they did not engage in any way with state organs. The crime of disturbing the work of the state organs cannot be legally established. Therefore, I believed that there was a possibility that Zhou would also be released on bail. There was also a chance of persuading Zhou to stop his petitioning activities and instead resort to legal channels to obtain compensation for demolition. Li and I arrived at Hualin Police Station around 3pm as agreed. Unexpectedly, we were met with Officer Chen, a gloomy officer out of uniform, who on the spot issued a subpoena for Li Xiaozhen. I’ve been a lawyer for many years, but this was the first time I had taken on a criminal case. Although I felt it was inappropriate for the police officer to turn our meeting into a subpoena, I didn’t expect that anything could happen, so I didn’t raise any objection. I identified myself as the defence lawyer and explained our intention. Chen asked me to wait until he came back. I waited in vain until 5pm. I asked a policewoman in the reception to find out if Chen was available. Soon enough, Chen came out and stood in front of me with a strange expression on his face. This was how the nightmare of my life started! I explained again the intention of my visit, but Chen refused to communicate with me. He told me in a cold voice to send him the application for bail by post. I asked for his full name and badge number. He appeared offended and pulled his work ID card off his chest, which had been worn upside down, and threw it to my face. I instinctively raised my hand to cover my face. What happened next was totally shocking. Police officer Chen shouted at me, ‘How dare you grab my work ID card? You are assaulting police!’ Within a second, a group of police officers rushed out. They surrounded me and assaulted me. I was so scared that I almost fainted. My head was blank and I couldn’t utter a single word before being pushed into the case-handling area by the police officers. Later I was able to piece together what happened based on my own memory and numerous accounts of people who were present in the hall of the police station and who witnessed the violence that the police imposed on me. The police officers surrounded me, and then one of them seized my hands from behind. Chen put his hands around my throat and began strangling me. My face turned all red, my eyes rolled back, my feet were almost in the air and I lost consciousness instantly. A medical expert had told me before that there is a point on the neck, which if pressed could cause suffocation or loss of memory, and which if pressed for long could lead to brain damage or death. A woman petitioner recorded the police violence on her mobile phone and told Chen to stop attacking me. This might have saved my life! The petitioner herself was pulled into the case-handling area and was forced to delete her recording. The police ordered her to be strip-searched. She tried everything she could to resist it and finally the police gave up. After entering the case-handling area, my mind started to become clearer and I immediately declared that I was framed. How is it possible that a middle-aged female lawyer like myself dares to attack a much younger and stronger police officer inside a police station? My reasoning was met with mockery and cursing. What scared me was that a middle-aged man who claimed to be a public lawyer also accused me of attacking the police and shouted curses at me. In retrospect, I realized that they must have prepared every detail of this plot, including the legal ramifications, waiting for me to jump into the trap! I completely collapsed! All I could think of was the name of Lei Yang. In a police station full of surveillance cameras, they can frame a lawyer in broad daylight, what will they not dare to do? Lei Yang’s resistance cost him his life and there are so many cases like Lei Yang’s in China. My child is still young. If I resisted with all my might, would I become another Lei Yang? Lei Yang was detained by mistake, but I fell into their trap voluntarily. They are the knife, I’m the meat! I can only endure this humiliation in sorrow! In a corner of the case-handling area, the two policemen pulled up a small curtain, symbolically separating me from the officers who handled the case. I stood facing the wall. The middle-aged policewoman in the reception walked in. She shouted and ordered me to strip until I was naked. After a policeman said something, she appeared satisfied and allowed me to squat down on the floor. I could feel that there were many eyes looking at me. I begged in tears for several minutes before being allowed to put on my clothes. The whole process of stripping and being naked lasted for about twenty minutes, but it felt like a lifetime to me! The moment I put all my clothes back on, I felt that I had aged a lot! Subsequently, I was photographed, fingerprinted and forced to undergo a urinary drug tets. I followed their orders with a blank mind, as the fear had completely suppressed the anger. I knew I was in hell! It was only later that I learned that all this was merely a prelude to criminal detention and sentence. Four policemen took me to the interrogation room and took turns to question me. There were two rounds of interrogations, which lasted for a total of six hours. Most questions were irrelevant to the ‘assault of police’ but were raised repeatedly. In the first round of interrogation, I stated again that I had been framed and asked for surveillance video. However, the two policemen told me coldly that they had seen the video and there was enough evidence to detain me. I realized that there was no doubt this was a conspiracy. I remembered the convenient presence of the public lawyer and the two policemen whispering, ‘This case is arranged by…’ In desperation, I knew I had fallen into a terrible trap! In the first round of interrogation, the two policemen ruthlessly claimed that I had assaulted the police. I denied this, of course, and I asked them to show video evidence. Around 9pm, they took a break. The second round of interrogation started around 10pm. The atmosphere relaxed a little bit, and my fear subsided slightly. The policemen started to make various excuses for their behaviour, and showed me some of the video “evidence.” Perhaps due to their carelessness in editing, there was even a clip showing the policeman strangling me. I have high blood pressure and have been on medication for years. This sudden misfortune made me feel unwell. I was afraid that I might die. I told myself to remain calm. The most important thing is to be alive! During the break, I asked the police to monitor my blood pressure to avoid any accident. Of course, my request was rudely rejected. Around 11.50pm, I was released. The police station didn’t issue any oral or written explanation. Yes, I was indeed lucky! Because of immediate online solidarity, I was saved from criminal detention, imprisonment or even a tragic death like Lei Yang! That evening, three women were strip-searched inside Hualin Police Station. The male detainees didn’t have to endure this kind of humiliation. After discussing with colleagues and family members, I went back to Hualin Police Station together with them at about 1 am in the morning of the next day. I called 110 to report my complaint and request them to send at once someone to the scene in order to investigate as well as obtain audio and video evidences. The person who spoke to me on the phone tried various excuses to dismiss my request and even threatened me. I persisted and called 110 dozens of times, requesting live scene investigation. At about 2.30am, two inspectors from Public Security Bureau of Liwan District Branch came to the scene and recorded my statement. They promised me that audio and video evidence would not be amended or deleted and that they would have a result for the investigation within the day. By the end of the day, however, I still had not heard back from the Liwan District Public Security Bureau. The next day, two inspectors from Guangzhou Public Security Bureau interviewed me and took my statement in writing. During the interview, it was obvious that the two inspectors were biased in favour of the police officers that had misconducted themselves. The inspectors also told me that we had to apply to Hualin Public Security Bureau for public disclosure of the audio and video evidences of the crime scene. It sounded like I had to ask a tiger for its skin! Until now, the terrible experience of September 20 still seems to me to be a nightmare rather than a real experience. I can’t help trembling when I see someone with a uniform. I understand now that the abuse of power is not only far worse than any crime but is itself a source of crimes. I’m still puzzled by the whole experience. There were no personal grudges between those police officers and myself. Why would they want me to die even if they were carrying the order from above? Can human beings become so evil? If it hadn’t happened to me, I would never believe it! I knew society could be dark, but I never knew it could be as dark as this! I don’t know if I have the courage to practise law again. I know this experience of police brutality will affect me my entire life. After my experience was exposed online, I was surprised to learn that many female lawyers had been attacked by the police. It is said that there have been many vicious incidents in which police have attacked and arrested female lawyers in Guangzhou this year. But nothing has been exposed. If a first-tier city experiences this sort of abuse, what can the situation be like in other, less developed regions? Many of my female classmates and friends who are also lawyers have told me that they have also been detained by the police. However, they’ve all chosen to swallow the bitterness in silence. My practice in law has been focused on commercial cases, supplemented by a small number of civil and labour cases. I’m not a career woman. What I care most is my family and my children. I have never confronted authority and I don’t approve fierce confrontation. In every case I have handled, I have tried my best to reconcile the conflicts as I did in representing petitioner Zhou Jianbin. On the other hand, I’m not indifferent to what’s happening in the society and I sympathize with the powerless. The nightmare of September 20 has woken me up. I can’t afford to sympathize with the powerless. Lawyers are also powerless. As a female lawyer, I’m even more powerless.